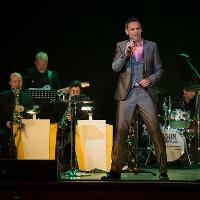 Hoochie Coochie are delighted to announce the return of the fabulous Jason Isaacs, 'King of Swing'. You can be guaranteed a show to blow you away! We are delighted to welcome back Jason to HC. These Sunday shows are special to Jason & the band as they get to perform a wide ranging set, across the genres. Always a great afternoon ! NOTE - Tickets are STANDING/DANCING only.